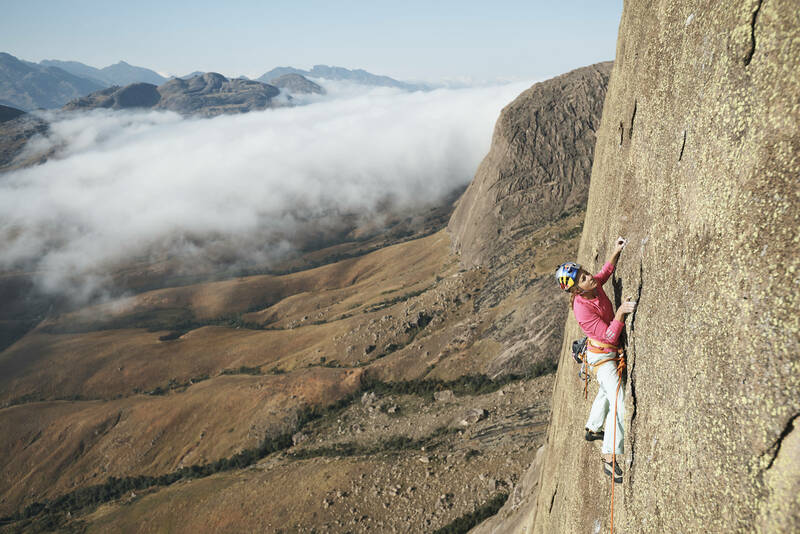 The professional climber, along with Edu Marin, ascended the peak last month after three days of climbing in the remote wilderness of Madagascar. Using handholds of crystals smaller than shelled peanuts at times to pull themselves up, it was a treacherous task to tackle. Mora Mora was first tackled in 1999 by the pairing of Francisco Blanco and Toti Vales but the duo were unable to free climb it, and it took until 2010 for Adam Ondra, of the Czech Republic, to become the first person to free climb the route. DiGiulian’s ascent with Marin was not without its complications, with them spending 26 days in the area working out the individual pitches of the route and achieving the feat after three days of upward work, all done hauling their gear, food and water with them. Mora Mora literally translates as „slowly, slowly“, an apt description for the two athletes, who first met on the World Cup circuit eight years ago and have become regular climbing partners, tackling it.